September 18, 2010 is a day I will never forget. It is the day that I realized I had made the most important decision in my child’s life—to have her at home. My daughter was born peacefully at home with an Illinois midwife. I stand by this decision and know that it is better for me and the women in my community. I know allowing for culturally competent, licensed professionals to attend women during pregnancy, birth and postpartum will stop the disproportional rates of infant and maternal mortality in the Black community. Black babies are 2.4 times more likely to die as infants compared to non-Hispanic white babies. Also, Black mothers are 4 times more likely to die than non-Hispanic white mothers. I know wholeheartedly that this must change. Many of my sister friends know this as well. That’s why they are choosing home birth for themselves and their families. Many of them are working with unlicensed, underground midwives. Underground midwives cannot legally carry oxygen or anti-hemorrhage drugs; both important for saving lives. They do not have privileges to perform certain newborn screenings nor can they file birth certificates. If a mama in their care needs an emergency cesarean section, an underground midwife cannot call ahead to a hospital and ask to have an operating room ready. She will not be taken seriously because she is not part of this defunct healthcare system–neither are many Black women. Many of my sister friends are also choosing to do it themselves—having “unassisted” home births (which has increased in Illinois by 10% last year). Should they have to go to the hospital with an emergency, these same women are also challenged by hospital staff, policed, and threatened with DCFS (Department of Children and Family Services) intervention. Black women and their parenting will continue to be scrutinized if we do not change the system. This is why I am sincerely requesting that the Illinois Black Caucus vote YES to the Home Birth Safety Act, currently amended to SB3712, when they see it next week in Springfield. We need licensed, Certified Professional Midwives (CPMs) to work in our communities to make sure we are getting the appropriate care we need to keep Black mothers and babies healthy and alive—to improve our increasingly devastating outcomes. 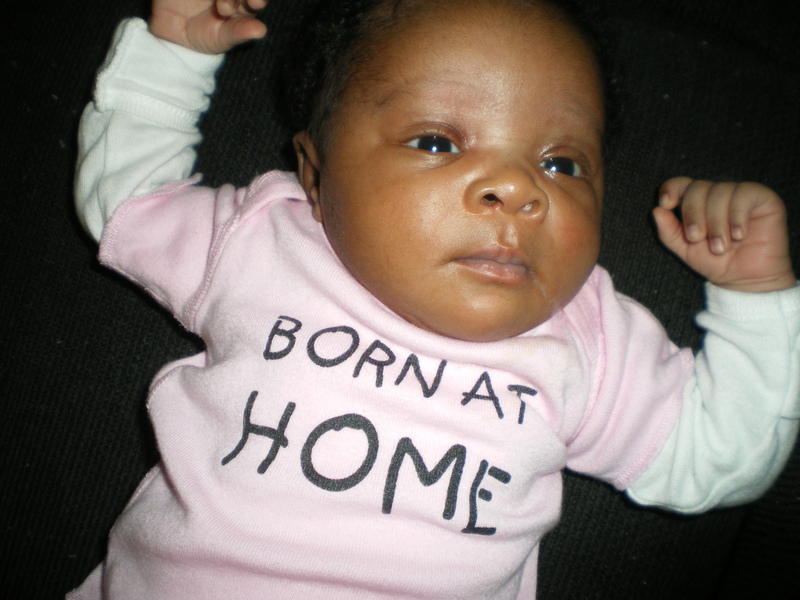 Home births have been since biblical times. Pharaoh wanted the Hebrew midwives to kill the babies, but they wouldn’t. You are taking us back to our roots. I know for sure, it is definitely less expensive and less traumatizing for the infant. Revolutionary ideas take time to stick. African American women need to see the advantages. This maybe your calling. Thanks you so much for your words Shirley. We definitely are coming around to understanding this but it’s going to take some work like you said. Thanks again. P.S. When you coming by? Thanks for this. I attempted to have my baby at home last June with an (absolutely amazing!) underground midwife, but unfortunately needed to transfer to the hospital and get a c-section. The surgery was thankfully necessary and went well, but I was mistreated during my labor and had DCFS called on me the next day. That also thankfully ended well (the caseworker had preemptively filed it as unfounded) but it was still utterly ridiculous. Thanks for sharing Ashley. That is totally ridiculous. This also happen to a two families here recently (all within a matter of two weeks I believe). It is stressful enough to have to be transferred and have surgery. Add to that drama with hospital staff and DCFS. I am so glad everything worked out for you. I’m not a black woman, but fear of the system has kept me from birthing at home. The nearest hospital is openly hostile to HB transfers. Their staff would be TOO happy to report me to DCFS. And then I’d be recovering from birth, caring for a newborn and trying to defend my family’s choices to homeschool, co-sleep, tamdem breastfeed past toddlerhood, selectively/delay vax, etc. Thanks Chrisitine. You are absolutely right. Child rearing choices are difficult to make and defending your choices may be even harder. It’s terrible to think about how many women would choose otherwise if the support was there and institutions weren’t so hostile. Thank you for sharing! Woohoo! Good for you Sharon. I’m happy about your resistance. Hooray for home births in Illinois. Hopefully more women will be able to experience this without fear or shame. Even more reason to stay on top of reps.
**STANDING AND CLAPPING** such a powerful force and beautiful blessing you are sista!! Congratulations on your home birth and thanks for sharing the TRUTH! You are now one of my newest Sheroes!! Blessings to you!! Thank YOU Nicole! You are as amazing! Just visited site and will be subscribing. We have work to do as birth workers! I am happy to have connected with you. Thanks for reading and commenting. Absolutely!! I wish this law makers could truly understand that! Thanks Christina for your comment and for reading! Thank you Hallie for your honesty. Don’t have any regrets. It’s a awful system that uses our love of our unborn babies to manipulate us. It’s a horrible way to make you pay more to deliver your child. You did the best with the information you had. I’m glad you were then able to experience the kind of birth you knew was right for you at home. Thanks so much for sharing!